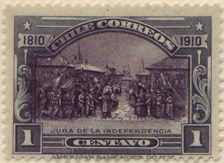 Only the second South American country after Brazil’s early 1843 entry, Chile’s offering is mostly accessible, though the first post due and official are both handstamps: the latter is rather expensive and not yet acquired. 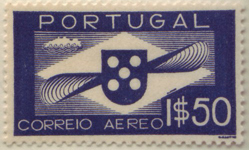 There were two sets of airmail overprints (the first rather costly) before the 1932 SG Sc-C22, the first real airmail, shown. 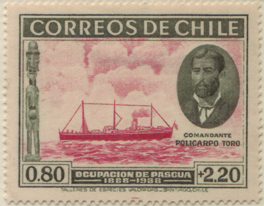 Another fine set of stamps, of which the highlight is the handsome first airmail. 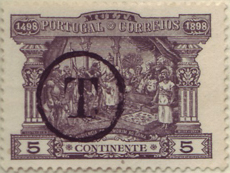 The first stamp, the 5 reis brown, issued on 1st July 1853 is highly priced (£850 used), and so is represented by a striking 1934 commemorative: the 25 reis blue, SG4 Sc2 is affordable.